DURING the long summer months of 1944, when the men of the 1st Airbourne Division were stressed from a series of proposed and cancelled operations, Lieutenant (Quarter Master) Pat Glover of the 10th Battalion made a habit of relieving his frustrations by taking pot shots with his .22 calibre rifle at the birds outside his office. After Lt. Glover successfully fired two or three rounds through the cockerel-shaped weather vane on top of Somerby’s All Saints Church from a distance of approximately 60 yards, a heated and booze-fuelled debate ensued as to whether chickens could, in fact, fly. Determined to prove win the argument that they could, Lt. Glover ‘acquired’ a small reddish brown hen from a nearby farm and christened her Myrtle. Shortly after this, a parachute jump was scheduled, and Lt. Glover put Myrtle inside a zip-up canvas bag attached to his left shoulder. Once he had jumped from 600 feet and had deployed his parachute, he opened the bag to let the chicken out. On poking her head out of the bag and seeing where she was, Myrtle promptly retreated back into its comparative safety until Lt. Glover released her when he was approximately 50 feet above the ground. Much squawking and an “utterly artless flapping of wings” followed; however, Myrtle flew and landed safely. Keeping Myrtle perched on an iron bar on the desk in his office, Lt Glover passed his pet off as “living rations” to his superiors, reasoning that he wouldn’t be a very good quartermaster if he didn’t plan ahead for food shortages. Over the course of that summer, Myrtle the Parachick made six more jumps, being released at higher altitudes each time, and became an accomplished flier. As she had completed the regulation number of drops, she was awarded her parachute wings, which she wore around her neck secured by an elastic band. By the time of Arnhem, she could safely be released from 300 feet and would patiently wait on the ground for her master to collect her. As this was an operational jump, however, Lt. Glover decided to keep Myrtle in his canvas bag for what was the second lift to Arnhem. When the formation ran into flak short of their destination and a few bursts hit Lt. Glover’s C-47, so he was the first man to jump from the plane. As he was gliding down, he could see that a battle raged beneath his feet and that shots were coming up at them, but he managed to reach the ground, rolling onto his right shoulder to avoid Myrtle sustaining any injury. Once he found his batman, Joe Scutt, Lt. Glover trusted Myrtle to his care as they both headed towards the yellow smoke of their rendezvous point. Mortars and shells were exploding everywhere and Ginkel Heath had been set ablaze, fires that paratroopers fell into. On the following day, as the Polish lift was coming down, Lt. Glover tried to replenish dwindling water supplies and sent a Sergeant away in a jeep loaded with dozens of water bottles to try and find some, however he never saw the man again. As the 10th Battalion withdrew across the railway line near Wolfheze at dusk, where they were holding the Brigade’s left flank, Lt. Glover recalled that the whole area was covered by German machine-gunners and so, in the poor light, men minimized their chances of being seen by going up the railway embankment, lying down, and then rolling themselves over the top. Just as Lt. Glover was about to go over, a determined German attack came in and the paratroopers dug themselves in at a pace. Once this skirmish had ended, he turned to Scutt and suggested they have a brew-up. It was only then that he thought of Myrtle and asked Scutt where she was. When the attack came and he began to dig in, he remembered he had left her in her bag on the edge of the trench, and as Glover felt for the bag and brought it in, he noticed that it was riddled with bullets. Inside it, Myrtle lay dead, on her back with her feet in the air. The two men left her in the bag and buried her beneath a hedge a few yards from where she fell. Lt. Glover wondered if he should remove her parachute wings, but as she had been Killed in Action, he decided to leave them on. 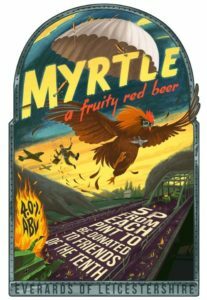 In recognition of ‘Myrtle’ and to commemorate the 10th Battalion, the Parachute Regiment, key supporter Everards have unveiled a new speciality beer for September 2017 and 2018 called ‘Myrtle’, with 5p of every pint sold being donated to our cause. 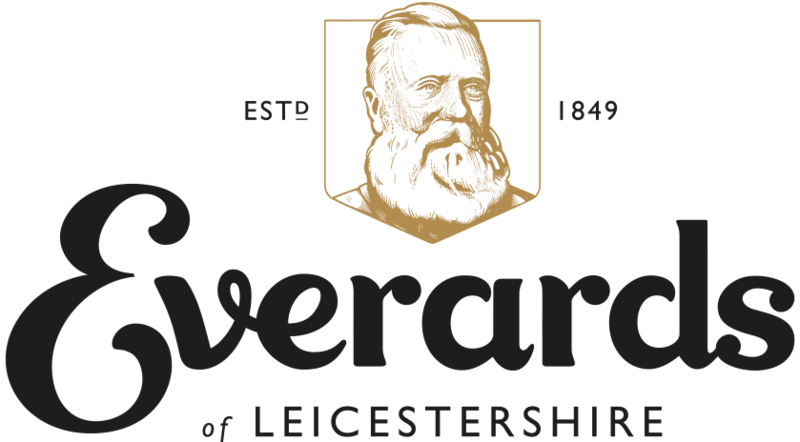 The red ale – which is brewed with pilot and flyer hops and boasts a rich and fruity flavour with chocolate malt effect – will be available to 178 Everards’ pubs situated throughout Leicestershire and the surrounding areas.